Seclusion at its best!!! Travel back the long driveway to the most wonderful setting. 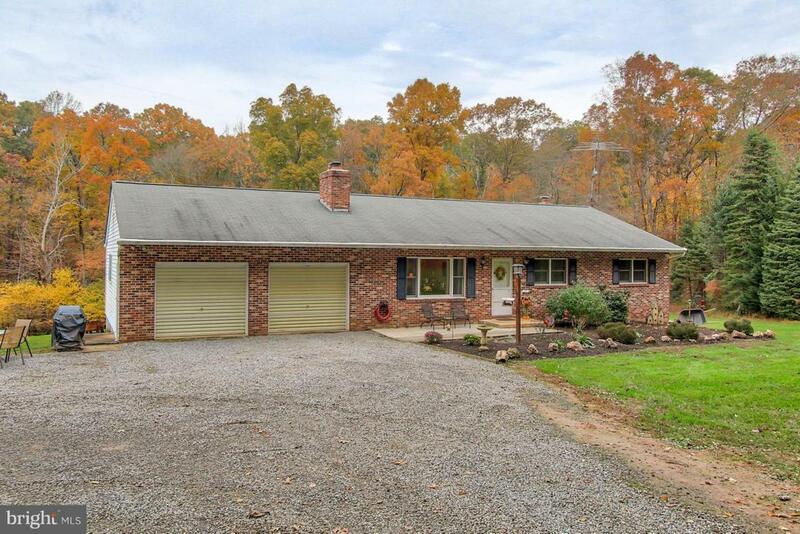 The home sits in the middle of the 25 acres with a large lawn but completely surrounded by mature trees. Deer and turkey by the dozens. The hunting blind stays and it is a super one. Now about the home, this is a very solidly built rancher with 3 nice bedrooms and 2 full baths, the lower level is a level walk out for possibilities, the living room has a brick fireplace with an insert and there is another wood stove in the lower level so you can heat with your own wood for free, combine that savings and the very very low taxes and you really can't beat the cost of living here. If you are afraid of the dark at night and want to have close neighbors this fine property is not for you. If you are a hunter and love the peace and quiet of Southern York County this is your paradise. Shown by appointment only and this is not a drive by property so please don't drive back the driveway without an appointment. Inclusions Appliances in The Kitchen Refrigerator in Basement Woodstove in Basement Fireplace insert.